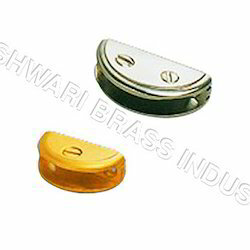 We are engaged in offering Glass Fittings including Brass Brackets. Our products are manufactured using high quality materials. 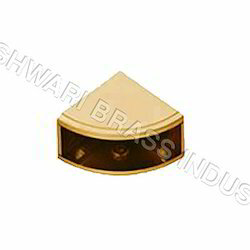 We manage to bring forth an array of Brass Corner Bracket that are constructed from solid brass. Manufactured using the latest technology, these brackets are available in polished, lacquered and chrome polish. Ensuring high quality of the products, we also consider the needs of customized corner brackets as per the requirements provided by the client. We manufacture a wide range of marvelous Brass Brackets. Made using high grade brass, we offer an invincible quality of the range. Owing to their tensile strength and multiple uses these brackets are used largely in different industries. Backed with a dedicated and efficient team, we have managed to design and bring forth the new designs. Moreover, acknowledging the needs and requirements of the customers, we also offer customized production of brass brackets.